Some people decide to rely on an outside company to come in and do their home cleaning and some prefer to tackle it themselves. In both cases, putting checklists to work can make all the difference in the world. Putting home cleaning checklists to work for you can make all the difference in the world. Without them, it's easy to let things slip and it's easy to forget about little things that should be done on a regular basis. For some of you, cleaning is second nature, and you have no problems maintaining a clean, orderly home. For the rest of us, we are just doing the best we can to keep up, but would really benefit from a visit from the house cleaning fairy. Since this probably isn't going to happen, the next best thing I can give you is the cleaning fairy's house cleaning checklist. Armed with a list of when and how frequently certain jobs should be performed, you will be less overwhelmed and able to clean your house quickly and easily. 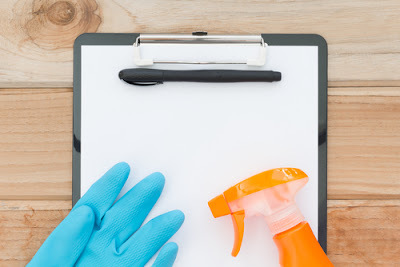 Let's start with the daily home cleaning checklists. The goal here is not to overwhelm you, but done regularly, these tasks will be easier to conquer in small doses instead of waiting for them to get out of hand. In the kitchen, clear off the counters, wash dishes or load into the dishwasher, wipe spills off the stove-top, and sweep the floor. Next, conquer paper clutter. Get and sort the mail, put homework and other daily papers in their rightful place, recycle all junk mail and old papers. In the bathroom, hang up towels, put dirty clothes into the hamper, and clear off counters (a bin for each person is a great way to do this easily). Monthly, wash dirty walls, clean handprints off doors, and wipe down woodwork. Vacuum upholstered furniture, especially under cushions. Dust mini-blinds. Polish wood furniture and clean/condition leather furniture. In the kitchen, clean the inside of the refrigerator and oven, and vacuum and wipe down the inside of often used drawers. Wash comforters, bedspreads and mattress covers and flip your mattress over. Dust ceiling fans and change the filters in your heating or air unit. Give your garage a good sweep. Vacuuming or otherwise doing something with the floors is common to all houses, but polishing the trophy case may not be. 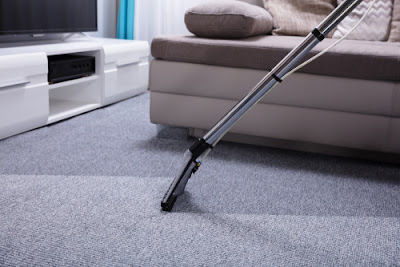 Here are some of the things nearly everyone will find applicable to their situation: getting rid of cobwebs, vacuuming and/or mopping and/or waxing, tidying up belongings, dusting fans, lamps, televisions, and more, taking some glass cleaner to any surfaces that need it, taking out the trash, and changing the bed sheets. Put these tasks on a weekly checklist and they won't be neglected. The kitchen is a unique room in the house and it requires some unique attention. Obviously, some light scrubbing and tidying are necessary after every meal. Beyond that, here are some of the things you may choose to put on your weekly checklist: wiping down the cabinets, wiping down the countertops, soaping and rinsing the sink and the dish strainer, doing an oven clean (this can usually wait longer than a week in between treatments unless you haven't mastered pans), and throwing out old food items in your pantry and refrigerator. Even people who don't mind doing home cleaning chores tend to turn their nose up when it comes to scrubbing the bathroom. Not only is it potentially the most difficult room in the house, but it can also be the grossest. Nevertheless, the nastier the task, the more important it is to do. If you don't feel up to it, consider relegating it to another member of your family or strongly think about hiring a service. 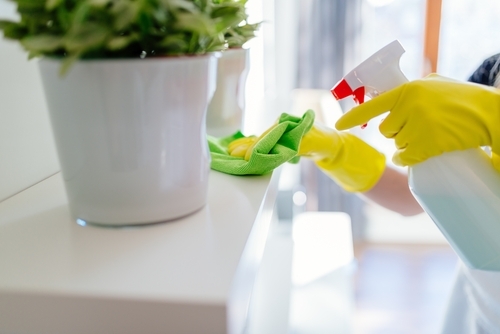 Here are some of the weekly chores your home cleaning checklist can't do without getting the cabinets, counters, mirrors, and sinks clean; disinfecting the toilet and shower, and mopping the floor. These are just two simple things that can go on your preventive maintenance checklist. Even though they are simple things, they are also very important things that can save you a lot of money in the end. You just need to take the time to check them every now and then and make sure they are in the right order. There are other little things that can go unnoticed and later turn into big problems. To get an idea of what you should add to your housekeeping checklist, you should look at a home inspection checklist. This will help you get an idea of the little things you want to keep.